The Northern Light trip starts with a sleigh ride behind a snowmobile driven by one of our knowledgable guides. Depending on current conditions you will be taken to one of several different locations in the area, all practically free from light pollution. 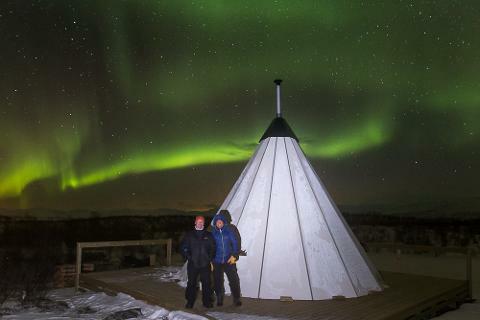 In the early season, before ice conditions on Lake Torneträsk are stable, we will use our teepee in the area around Abisko National Park. When the ice on the lake is thick enough you will be taken to one of our regular locations, one featuring a mobile wooden hut and the other an insulated teepee standing on top of a wooden deck. 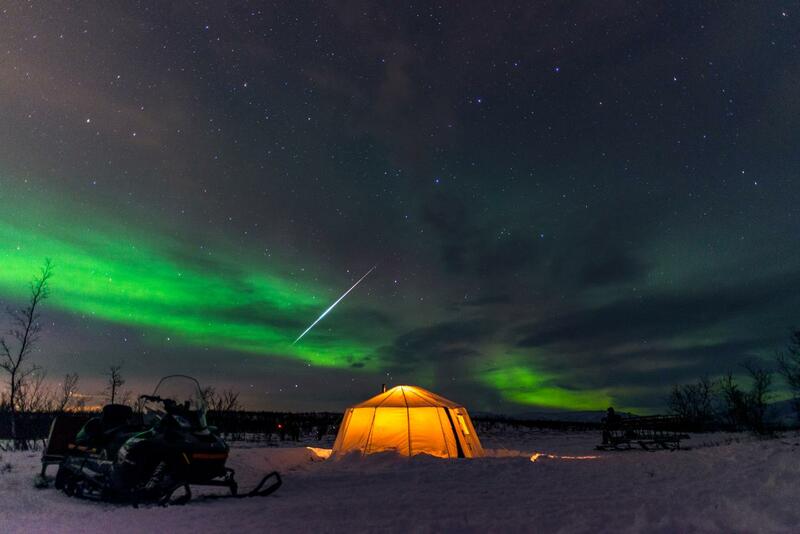 Both locations offer spectacular views in all directions and are excellent places for watching and photographing the Auroras. If you get cold you can always come inside the shelter were we will keep a fire burning throughout the evening. Make sure to bring your camera and preferably at least one extra battery as the winter temperatures can significantly reduce battery life. Our guides will be happy to help you with basic camera settings or to take photos for you to share. 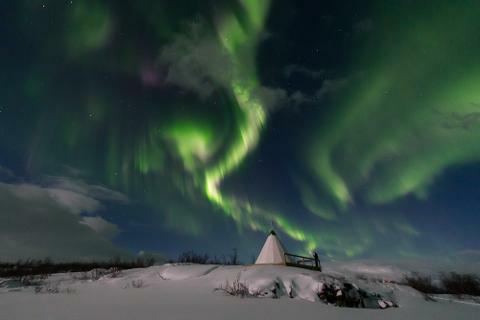 To improve your photographs of the Northern Lights you are also welcome to borrow one of our tripods. The trip starts at 20:00 and we will return at 23:00. Please be at our starting point 15 minutes before the scheduled starting time. The trip includes hot beverages, a light snack and warm clothing. If you wish to join this trip on another date than those scheduled, please send an email with your request to activities@abisko.me. 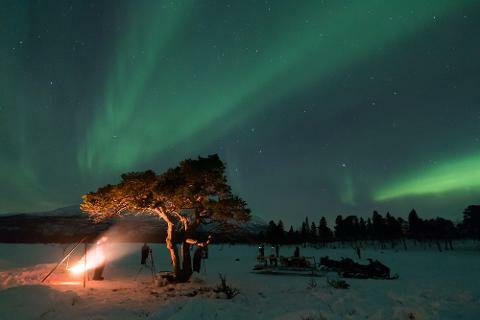 Guests staying at STF Abisko Mountain Station or at accommodation in Björkliden are welcome to book the Activities in Abisko evening return transfer. To make a reservation with short notice, please call +46 (0)76 138 09 98.